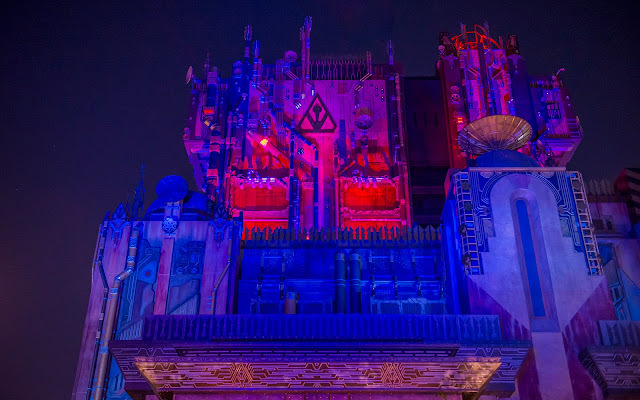 I haven't had a chance to properly shoot the Guardians of the Galaxy: Mission Breakout! ride at night since it opened, but during this Halloween season, I wanted to capture a few sort of spooky shots of the building. 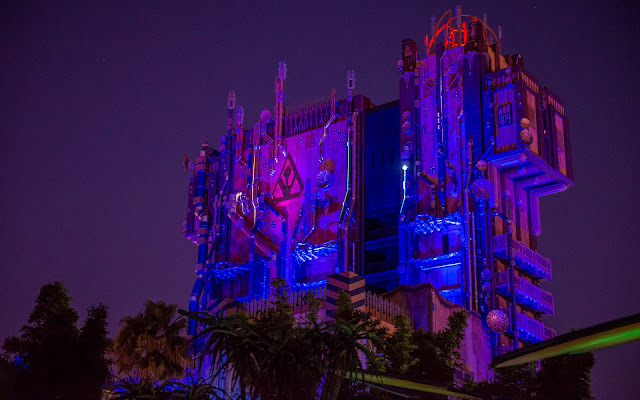 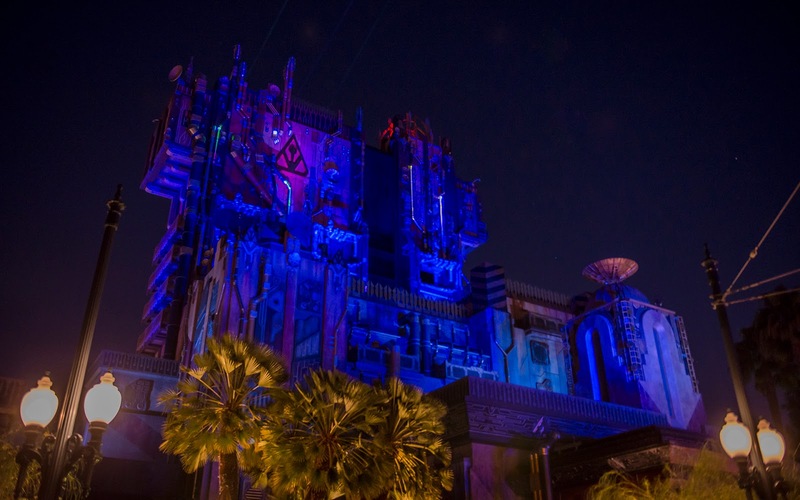 As part of California Adventure's joining of Halloween Time, this attraction has received a scary overlay at night in the form of Guardians of the Galaxy: Monsters After Dark! Guests now must help the Guardians rescue Baby Groot, who was accidentally left behind after they broke out. 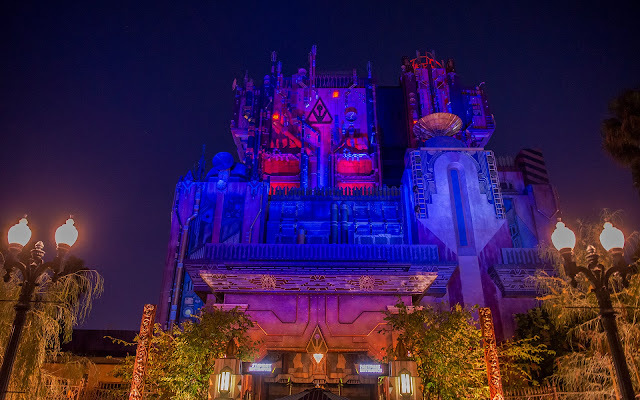 Seems like an irresponsible move to leave a teammate behind, but I suppose Baby Groot was probably distracted. Outside, the building receives some theatrical show lighting sequences every so often, giving it a bit of ominous personality. Kind of fitting for this spooky time of the year!